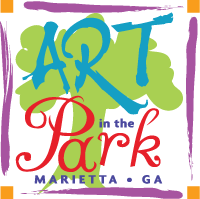 Art in the Park has been a part of the Marietta Square’s history since 1986 and takes place in and around the Historic Marietta Square and Glover Park on Labor Day weekend. It is a Marietta signature event and tradition that celebrates the arts featuring local and national artists from around the country. This fine art extravaganza features an artist market, children’s art alley, and the famous Painted Pots. Art displayed will include paintings, photography, pottery, graphic arts, sculptures, jewelry, and woodworking from 175 of the country’s finest artists. Festival guests will also have the opportunity to visit the unique shops and boutiques; restaurants, museums and galleries, take in a historic walking tour plus much more, all within walking distance of the festival. It is an Southeast Tourism Society Top 20 event since 2007, ranked in the Top 100 Classic and Contemporary Craft Shows by Sunshine Artist Magazine, is a Kaleidoscope Award winner from the Southeast Festivals and Events Association and a Pinnacle Award winner from the International Festivals and Events Association. The festival is free with plenty of free parking on the street and paid parking in the Cobb County Park Decks located on Waddell St. at Lawrence St (free on Sunday).